Oh I can't believe Tuesdays with Dorie is coming to an end! I've loved this event so much, meeting new people, trying new recipes, learning new skills and gaining the confidence to tackle any random recipe. This week's assignment was a rewind- trying out an old favorite or something you didn't get to previously. Like so many of you we are busy busy this time of year, with lots of opportunities to bake and limited time to photo and blog! 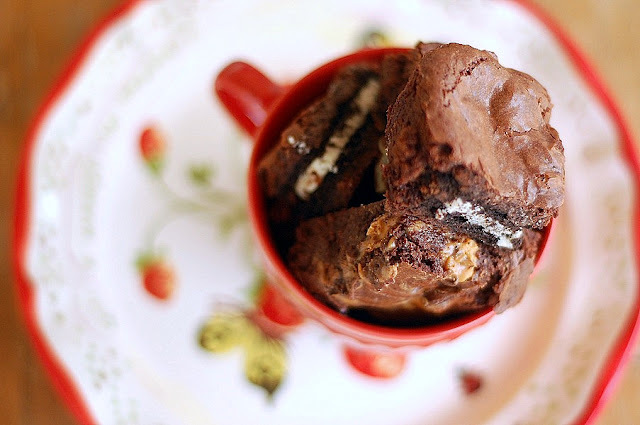 This week my tall man needed a treat to take to work so I made Dorie's classic brownies. I frosted them with a simple chocolate frosting and sprinkled on silver sanding sugar. I cut them into individual portions and put them in cupcake liners- they looked festive and were easy to serve out (a win win!) Of course I don't have a picture so here is a previous version as well as a link to the recipe. Sunday I made Dorie's All American All Delicious Apple Pie for a family birthday party. I didn't want to serve anything particularly Christmas-y since it seems like December birthdays get ripped off pretty often! I used some new pie crust cutters a friend gave me for my birthday to quick and easily decorate the pie top with flowers. They were simple to use and super cute (and the ones I found on Amazon have a strawberry, I might need those eventually!) The recipe itself is perfection. I've made this pie a million times and while I think there are a few Dorie inspired recipes that are more so my favorite, this pie must be one of the true favs from the sheer number of times it's been baked. Don't miss Dorie's buttery, delicious pie crust (my husband's favorite!) I always double the recipe and freeze a couple of disks of pie crust so I can pull them out and have a delicious, homemade dessert without the time or mess. See more of this week's Dorie recipe's here and have a very Merry Christmas. We'll be eating ham, rolls, potatoes, green beans, and all of our favorite fixing on Christmas day. I haven't decided on a dessert yet but if you have a family favorite or traditional Christmas dessert please do share- I'd love some ideas! Put the flour, sugar and salt in a food processor fitted with a metal blade; pulse just to combine the ingredients. Drop in the butter and shortening and pulse only until the butter and shortening are cut into the flour. Don't overdo the mixing—what you're aiming for is to have pieces the size of fat green peas and others the size of barley. Shape the dough into a disk and wrap it. Refrigerate the dough at least 1 hour before rolling. The dough can be kept in the refrigerator for up to 5 days or frozen for up to 1 month. love what you did with the pie. looks so cute with the heart! Yum, yum, and yum! Those both look amazing! Sigh...can I move in with you so I can partake of all the goodies? Really you won't even notice me...I'm 6ft tall with red hair...I swear I'll blend! I do love Dories classic brownies--always a hit. I have yet to make the apple pie but yours looks yummy. Thanks for all your sweet comments, I have met many wonderful bakers thru TWD, you are one of them. Have a Merry Christmas. Love the pie and the brownies. Two classics that are perfect picks for the rewind week. I have a pie crust recipe that I've made for years, but I'm going to try this one of yours with butter. The pie looks beautifully delicious. You asked about a fav. dessert for Christmas. I love to make a Christmas trifle! 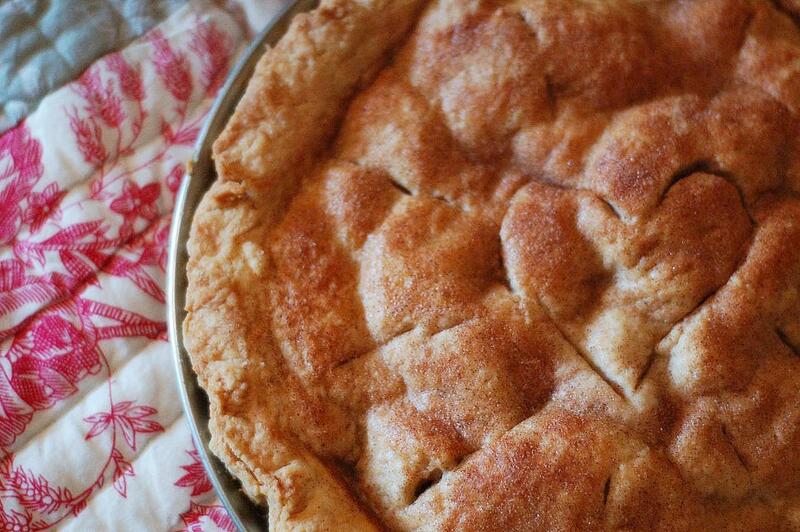 Oh that apple pie looks just glorious. No-one made apple pie like my grandmother. Seems impossible that TWD is ending. See you in 'Baking with Julia'?? Those brownies look divine and that is a perfect looking apple pie! Hope your Christmas was wonderful and Happy New Year! Hope you'll be joining in on BWJ!